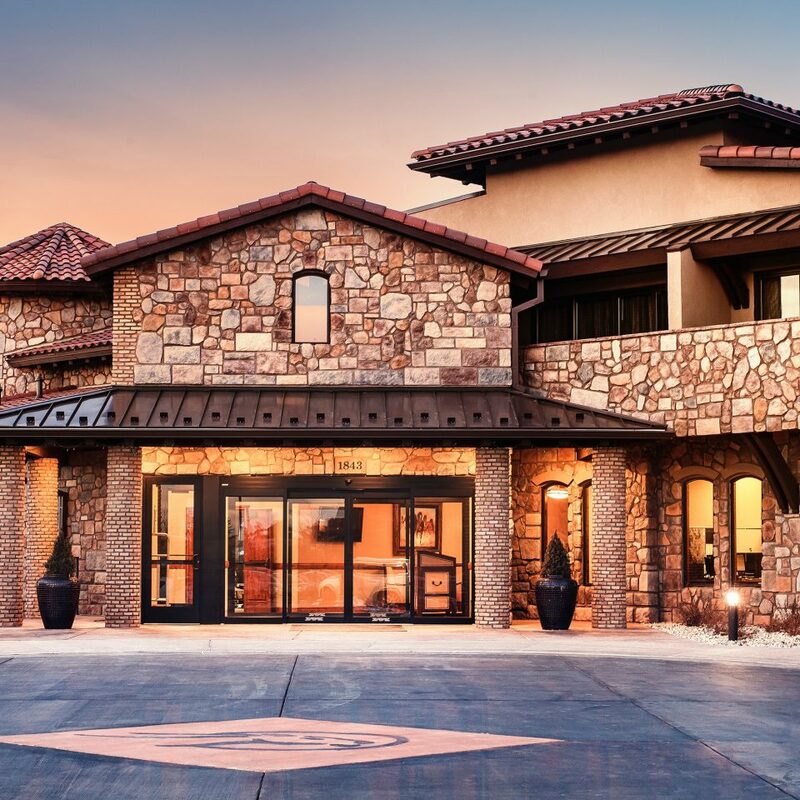 The Lodge has an enviable location within the award-winning Flying Horse Club, built right at the ninth hole of the Tom Weiskopf–designed championship golf course. 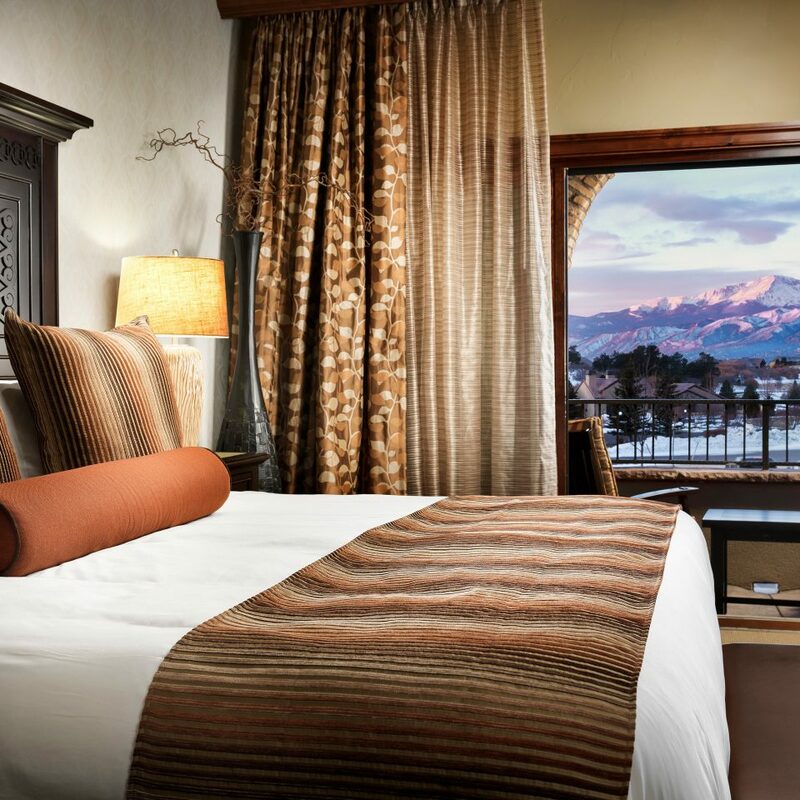 Each of the 40 spacious Rocky Mountains–meet–Tuscany rooms have views of the fairway or the front range of the Rocky Mountains and come furnished with private balconies or patios from which to enjoy them. 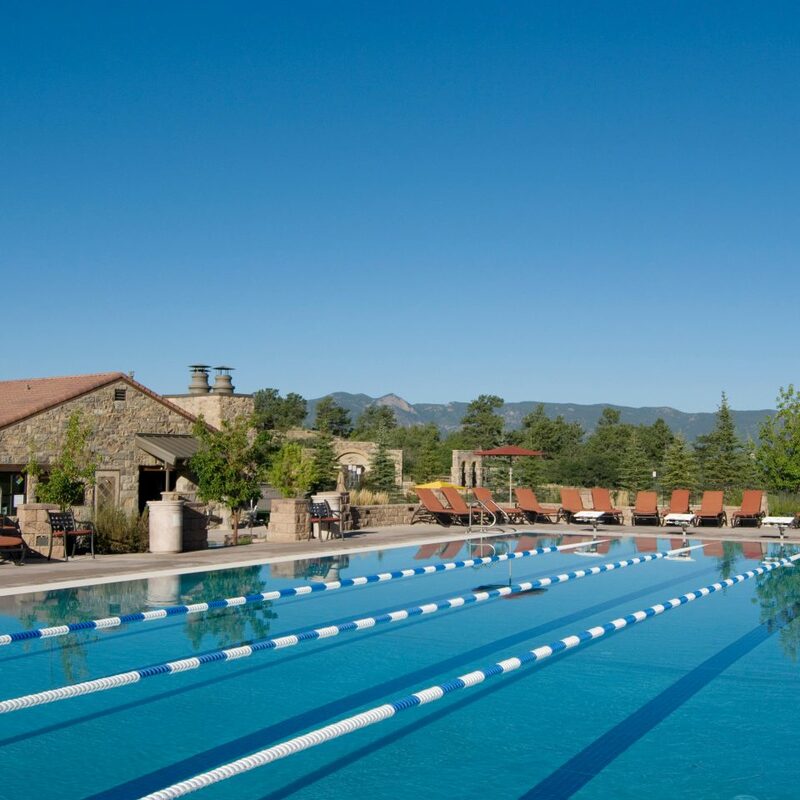 But that’s not all: lodge guests have complete access to the plush amenities at Flying Horse, including the Grill restaurant, the golf course, the sprawling Athletic Club (with yoga studios, outdoor swimming pools, a kids’ club, and more), and a pampering spa. Breathe in that famous Colorado mountain air on one of the many outdoor excursions available around the resort. 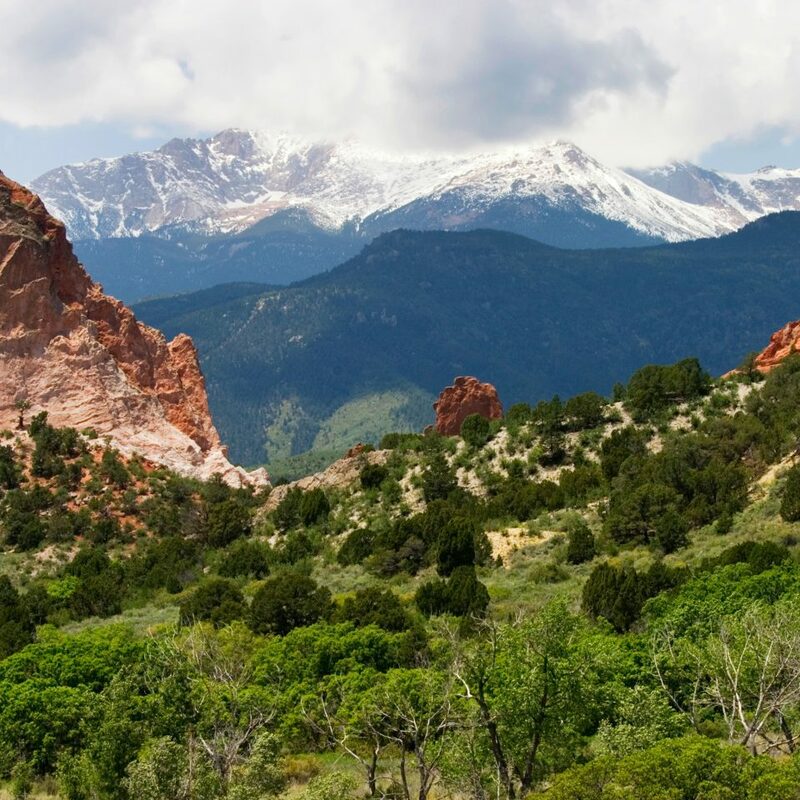 Start with the Garden of the Gods, a National Natural Landmark featuring towering ochre sandstone rock formations. Then explore the Manitou Cliff Dwellings, a series of fascinating structures built into the cliffs 700 years ago by the Anasazi people. 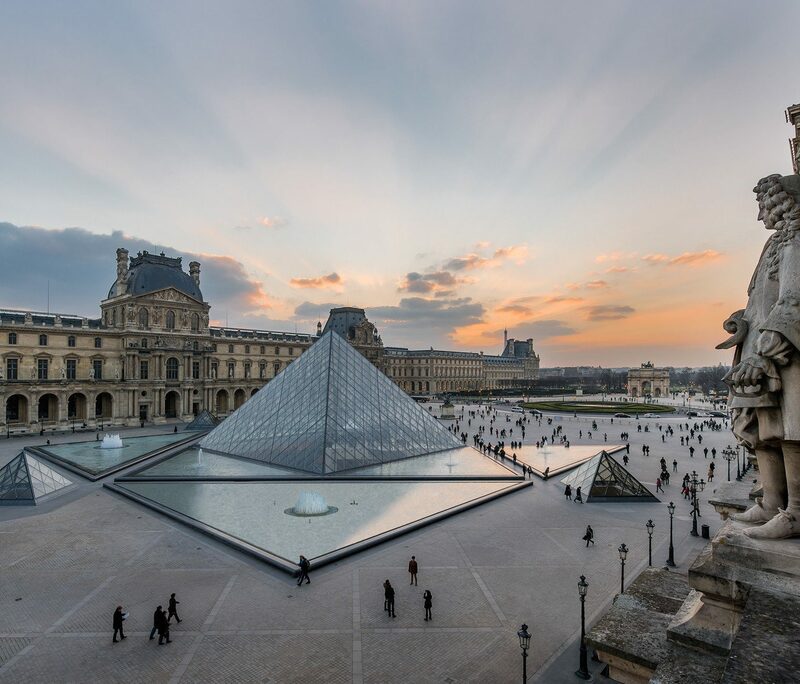 From those great heights, head underground to the Cave of the Winds, where you can take guided tours of caves naturally festooned with crystals, stalagmites and stone columns. This is an upmarket, comfortable lodge with an unusual tuscany-meets-gothic vibe. If that sounds slightly odd, well, think of it as quirky rather than odd. 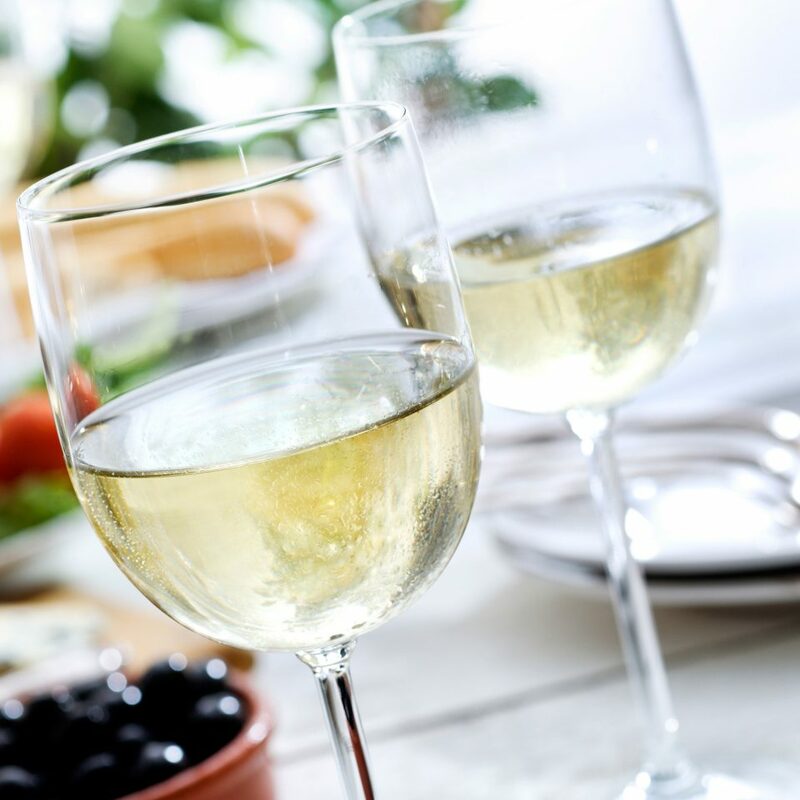 And then think of how good the welcome is, the efficiency and warmth of the staff, the charming way in which the property is spread out across various stone buildings and the excellent food and wine which is served with pride. 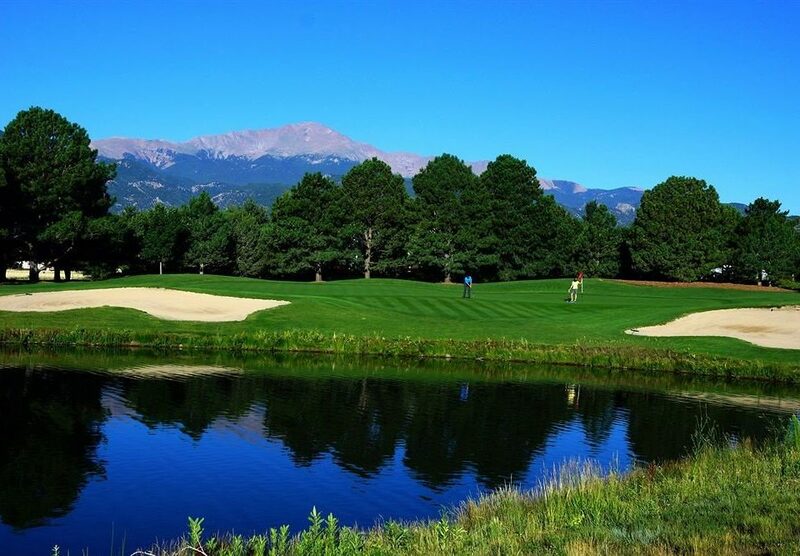 Watch the stars from your balcony at night, play on the golf course right by your window during the day, and consider maybe settling down in Colorado Springs for good, so pure is that mountain air...! Booked a room for my newlywed son and daughter n law. Receive a phone call this am that my son’s wife woke up with a bug (tick?) crawling on her. I called the front desk and spoke to Adriana, front lodge manager, who said she was aware and had a call in to her pest manager. That’s it. No apology and rude. Sounds like some re-training on customer service and more vigilant bug infection control are in need. Stayed here for a week. This is a beautiful place, however, Room was very dusty had to call the front desk everyday to get them to turn on the ac. House keeping never left 3 washcloths when there were 3 of us in the room. The restaurant was very overpriced. Really only enjoyed the view the room was not cleaned right the mini fridge was barely cold enough to keep my 2 year olds milk from spoiling. Just an over all disappointment. Have been to holiday inns that were cleaner and honestly just over all better. They allow dogs to poop all over in the grass right in front of the rooms and noone picks it up. Just really gross house keeping doesnt fix the beds they just pull the comforter back over. Stayed at the Lodge at Flying Horse for two nights on a weekend. There was a snowstorm in Colorado Springs during my visit, so the hotel grounds and golf course were blanketed in snow. The views of the Rocky Mountains, Pikes Peak, the Air Force Academy, etc. from the hotel were stunning. On arrival, there's a parking circle in front of the lobby and a short walk to the front desk. Check-in was easy and the lady at the front desk was very pleasant and professional. During my stay, the entire front desk staff were friendly and helpful. My room was huge (580 sq feet) with high ceilings, wooden crown molding, floor to ceiling windows w a sliding glass door that opened to a private balcony w wooden lawn furniture with cushions. 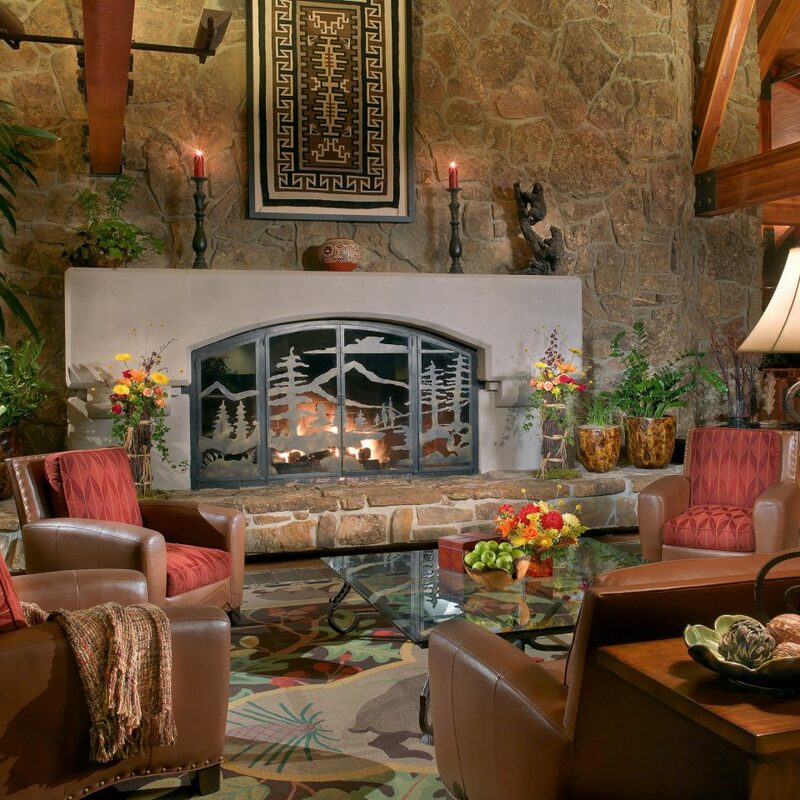 The Mountain style decor showcased distressed and decorative wood & leather furniture, a decorative upholstered sofa, coffee table, and plush reading chair. The room was evenly lit with ceiling mounted lights and room lamps. 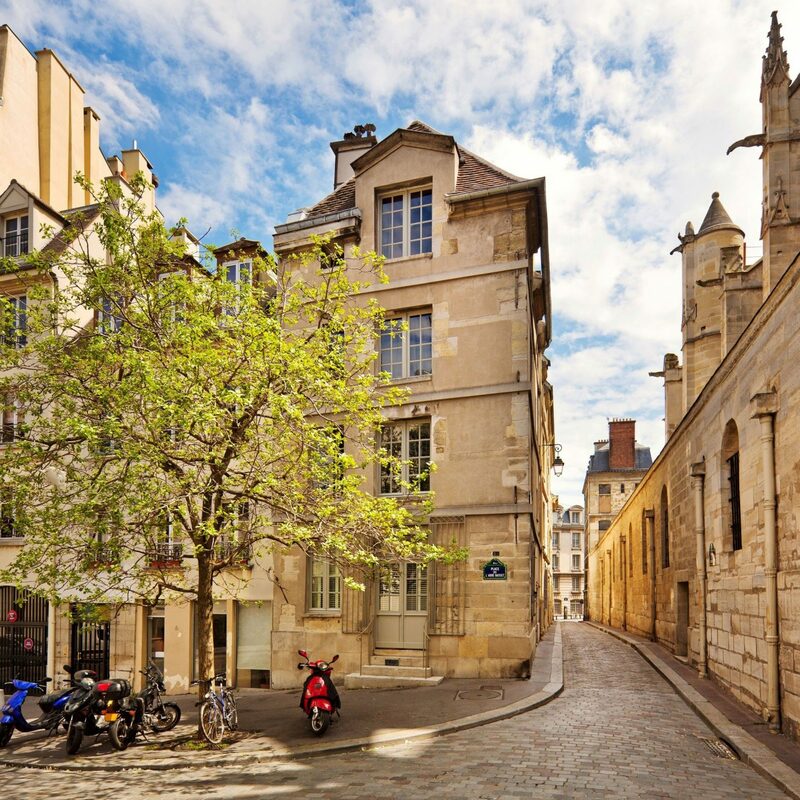 The closet, near the front door, had wood french doors and contained wooden hangars on a metal clothes bar, a safe for valuables, an iron & ironing board, luggage rack, and two thick bathrobes. Next to the closet was a wall mounted full length mirror and a stand-alone wooden suit valet. Across from the closet was the large bathroom that was well stocked w towels, toiletries, wall-mounted make-up mirror & hair dryer. A large, well-lit mirror was mounted above the wood & marble sink stand. 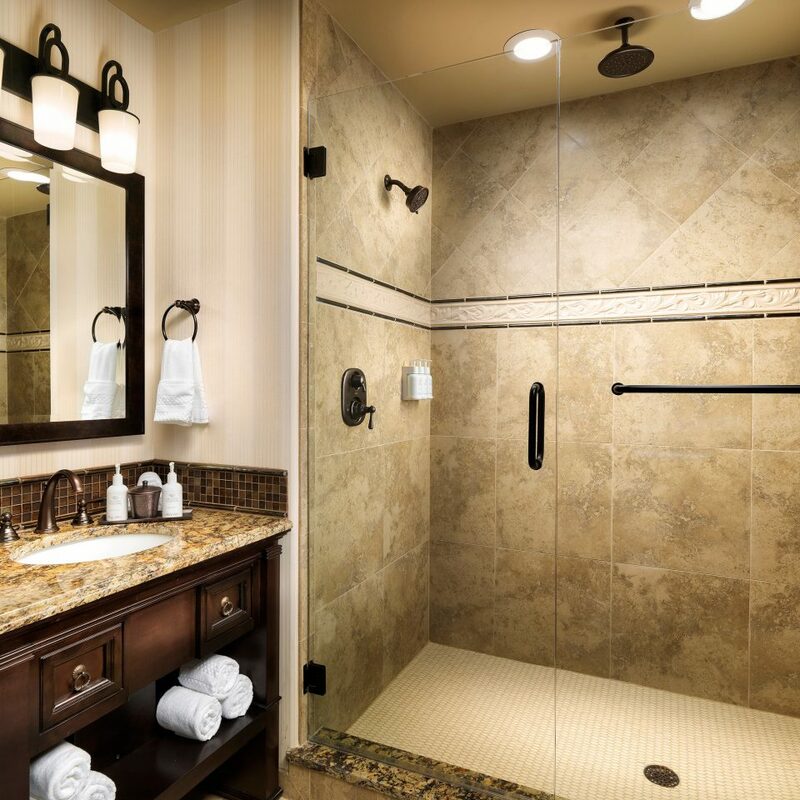 The oversize shower had a regular spray shower head and a high-ceiling mounted rain shower head, a bench seat, towel rack & towels mounted over the bench seat, and wall mounted dispensers for shampoo, conditioner, body wash.
Back in the room, a marble top beverage center was stocked with two complementary bottles of water which were replenished each day. At that altitude, drinking water is very important. Also on the beverage center was a Nespresso Pixie coffee maker, espresso pods, sweeteners, etc. A mid-size refrigerator occupied the lower section of the beverage center. The desk was a two-section nesting style, with no drawers. The desk chair was furniture-style with no wheels or adjustments; definitely not an office-chair. A desk lamp was equipped with two AC outlets; there was a third AC outlet on the wall. The hotel wireless network is open with good speed. Next to the desk was a tall multi-section dresser with soft-close drawers. A 55" flat-screen TV with DirectTV service sat on top of dresser. Across from the desk and dresser was a comfortable queen-size bed with a large wooden headboard, 4 regular pillows, 2 oversize decorator pillows, and a long tube cushion. A wide leather bench sat at end of bed. 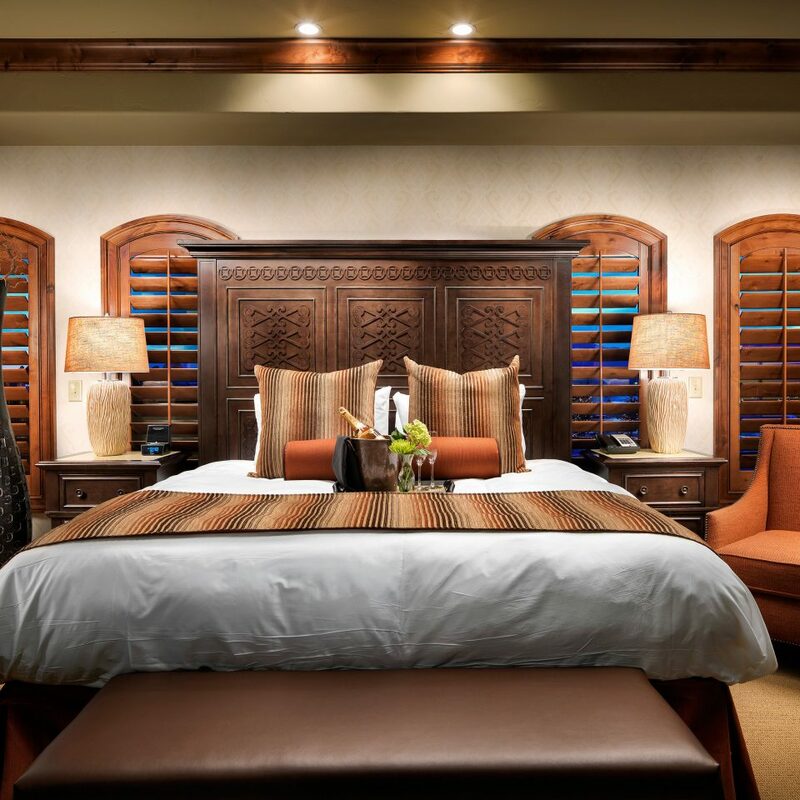 The Lodge is part of The Club at Flying Horse, so there are amenities that primarily cater to the club members, including a pro shop, steakhouse, athletic club, and spa. 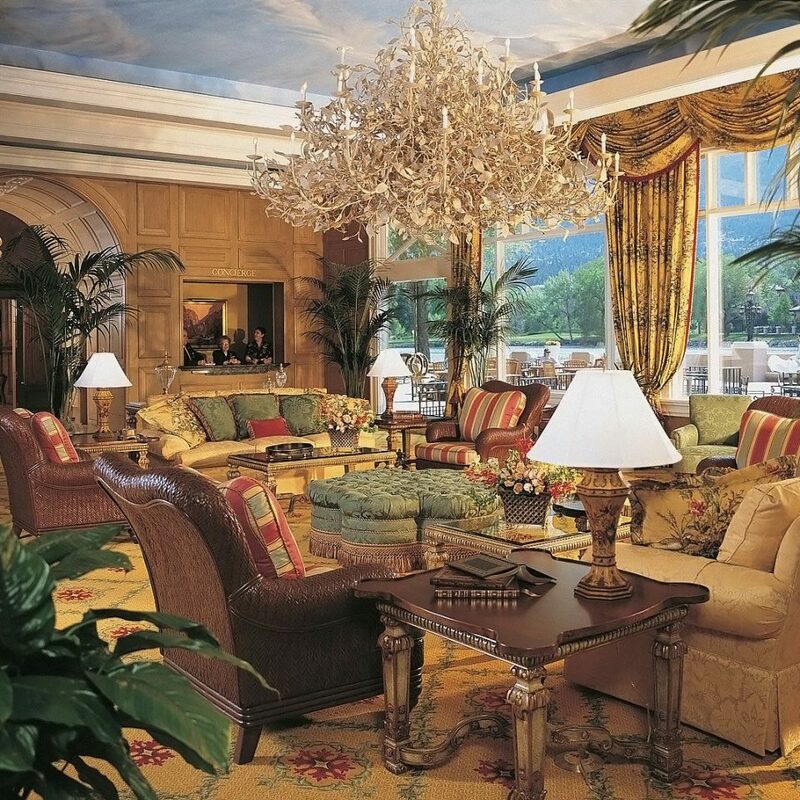 Hotel guests are welcome to dine at the steakhouse, and work-out at the athletic club and spa. The steakhouse has two bars, a wine cellar, and dining area. Club members have their own bar and dining area. 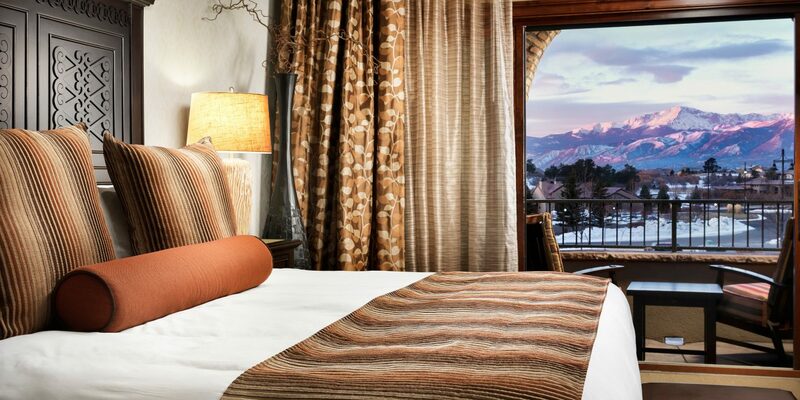 The entire restaurant offers incredible mountain views and is open to hotel guests for lunch, dinner, and room service. 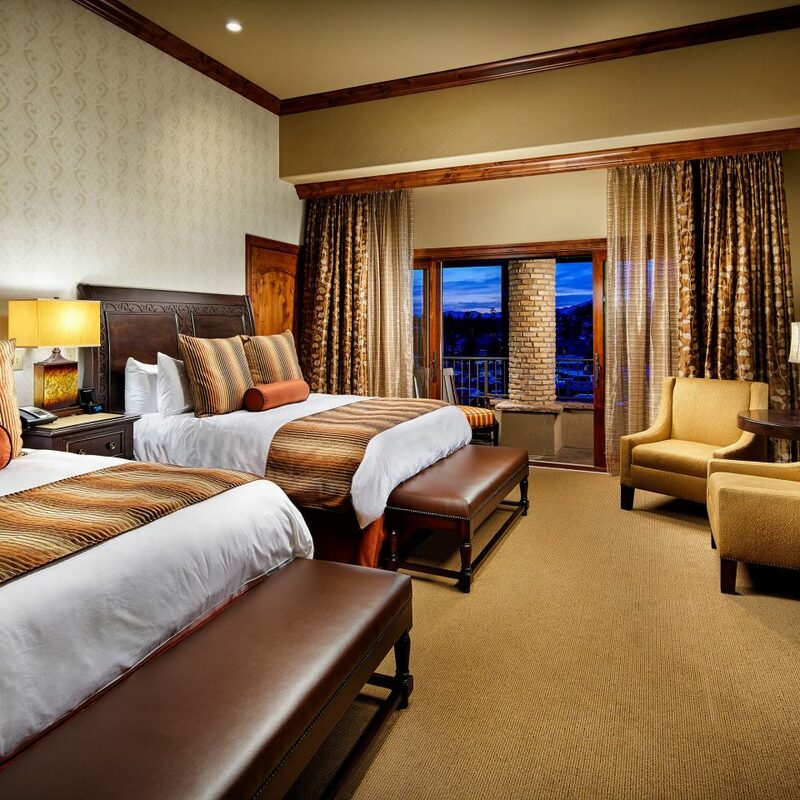 The Lodge at Flying Horse is an upscale, scenic property and I look forward to staying there again when I'm back in the Springs later this year. I had the privilege of touring the Flying Horse Club. It was gorgeous. 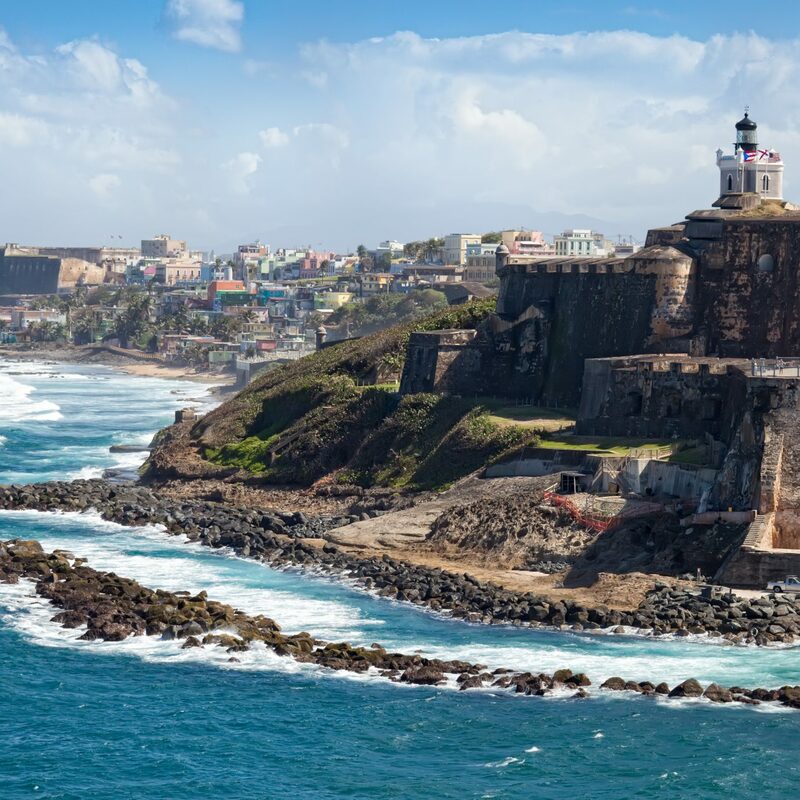 It has 2 restraunts, a private wine cellar for members, an awesome golf pro shop, villas and luxury suites for guests that need an extended stay. The conference and meeting rooms are well equipped and great staff. 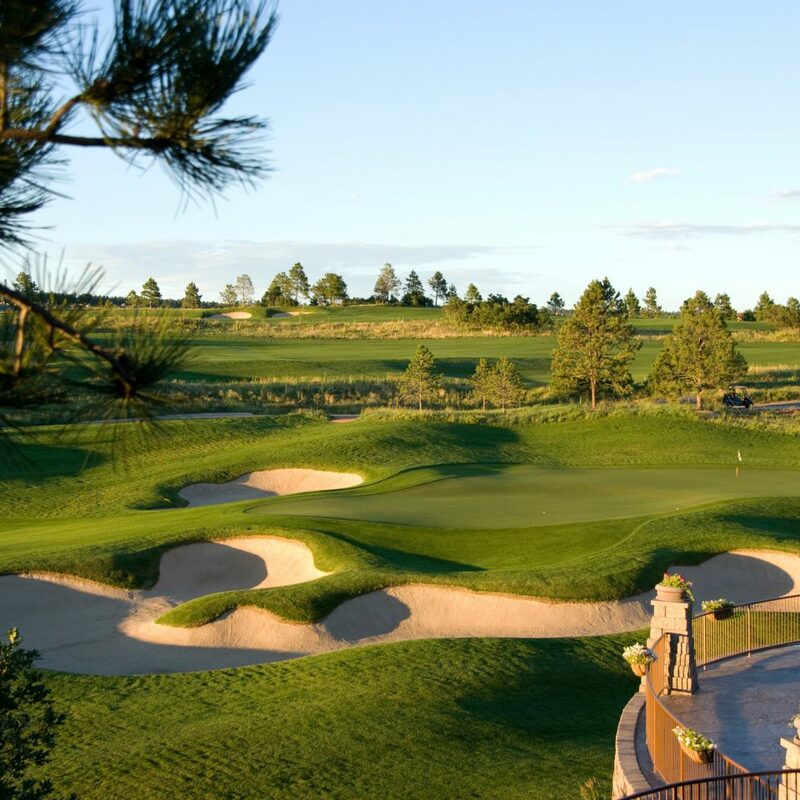 This club is a "Must-Visit" for golfers and non-golfers.